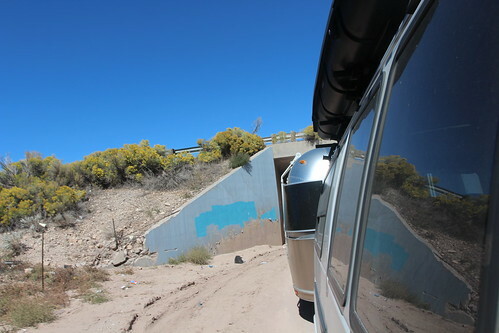 Mali Mish – Inching closer to Albuquerque, New Mexico. We had planned to hit up at least one, maybe two National Monuments for junior ranger badges in the area as they are loaded with them. Between Flagstaff and Albuquerque, there are probably 10 Parks and Monuments that are now closed with no end in sight. For the sake of exploration, we looked up a couple of New Mexico State Park options in the area and set our GPS on course to find them. Our aging GPS decided that this was the best way to get to one of them for some reason. 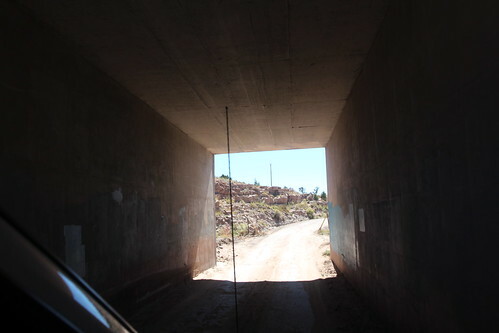 We went through a tunnel under the freeway and were faced with an unpaved road for miles before Bluewater Lake State Park. Fortunately, Marlene talked me into turning around and going an alternate route which was much less adventurous. After our rogue GPS decided that we should drive through a random neighborhood before arriving at the State Park, we made it to the gate which also happens to be locked. Apparently, Bluewater Lake State Park is a seasonal park and early October is already considered as off season. We can only take so many rejections before giving up so we decided to head down to a place we know will be open: An Indian Casino. We found a little casino on the side of the freeway called Dancing Eagle Casino which has a full hookup campground on its premises. It is really just a gravel lot with hookups but we were pretty excited to have full hookups for once. It is a pretty rare occasion these days for us to have that and we took full advantage of it. For only $10 a night, this is probably the cheapest full-hookup place we have ever stayed at. The next day, we finally made our way into Albuquerque. 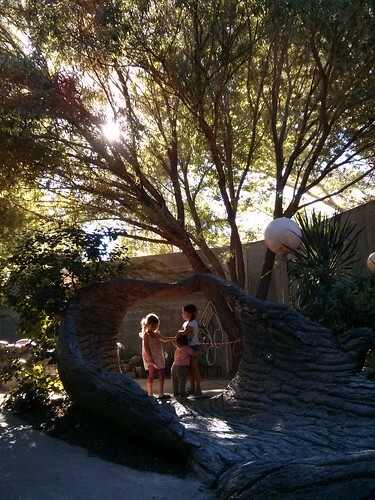 We were recommended to visit the ABQ Bio Park which turned out to be the perfect stop for us. 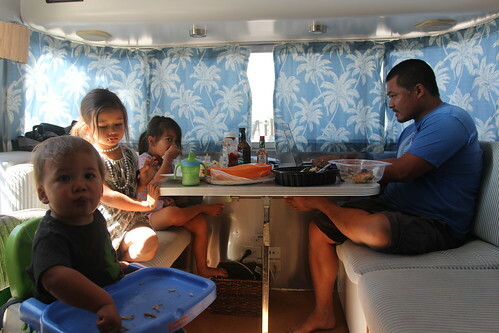 They had a large bus and RV parking lot where I can park and work while Marlene took the kids inside. 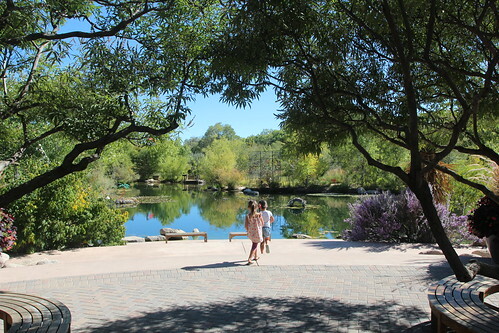 The ABQ Bio Park is a giant complex that includes the Albuquerque Aquarium, the Rio Grande Zoo, the Botanical Garden and even a beach. The employees at the Butterfly exhibit where talking about how the rarest specimens they have there have been hiding all day long. In a split second, Ava spotted them both and the employees jaws dropped. High five, Ava! It was a pretty big place to visit but since we only had an afternoon here, they only had time for the botanical gardens. 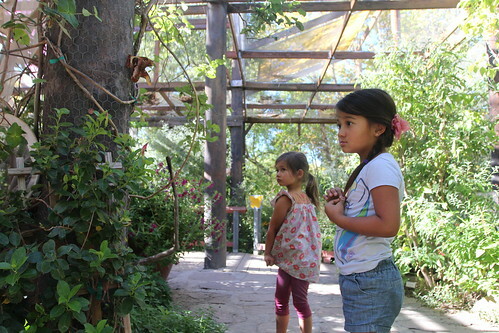 There is a large kids area called the Fantasy Garden for them to explore the garden from the perspective of a bug. 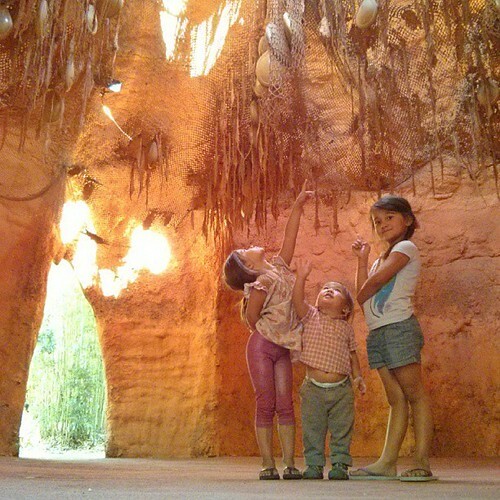 Here are my bugs inside a giant pumpkin. As many of you know, Albuquerque is where the TV show Breaking Bad is based and filmed. Since we are big fans of the show and its series finale had just ended prior to our arrival, we were pretty excited to visit some of the filming locations of the show. 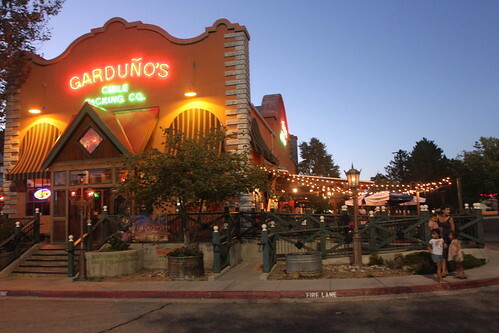 Tonight we decided to have dinner at Garduños. 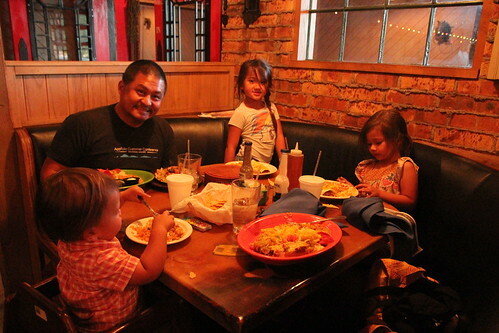 Fans of the show might recognize this a the restaurant where Walt and Skyler met Hank and Marie for dinner. I don’t want to spoil it for anyone who has not seen the the series to the end but this is the location of a very memorable moment of the final season. 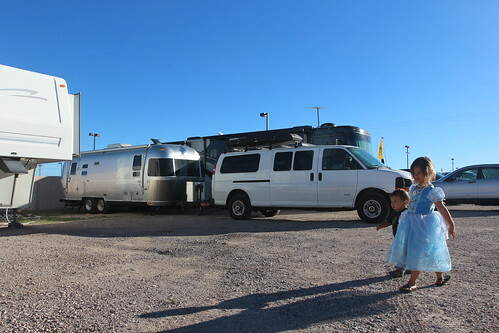 After dinner, we made our way to the Albuquerque Camping World for the night. Our friend Kyle was already there waiting for us. 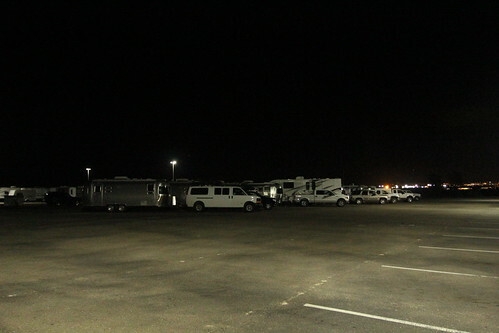 Tomorrow morning, we will line up with a couple hundred other Airstreams in this parking lot and make our way to the balloon field. 3 Responses to Inching closer to Albuquerque, New Mexico. I have a quick question for you regarding internet while rving. What is the least expensive and most reliable way to stay connected to the internet while traveling…. Besides an iPhone? Also what computer do you use? Hi there. I’ve been following your blog. I LOVE seeing all of your adventures. I have to admit I am a bit jealous. 🙂 You’re living my dream. Safe travels. I’ve been prowling around your site and will definitely be back to haunt your archives. 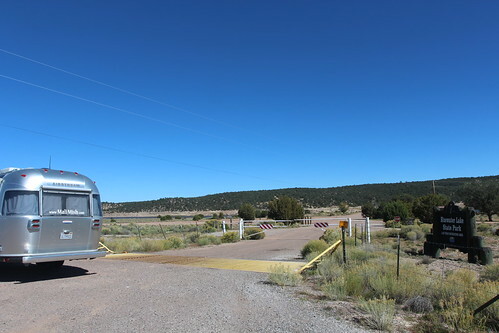 The “boondocking” post is most informative. What I love most about reading your entries is that they remind me of our family’s trips out west when our kids were growing up. I had a rule that they had to hike the number of miles equal to their age. 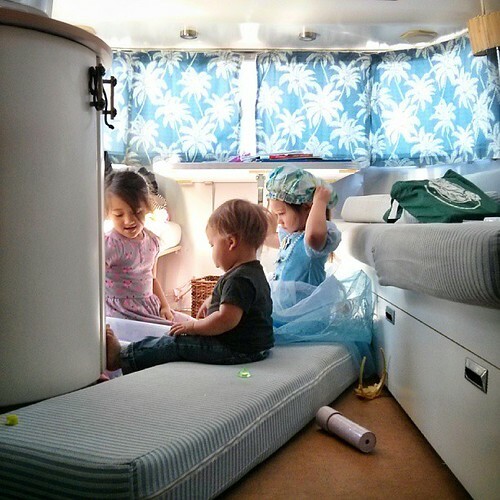 It’s amazing what kids can do if you don’t let on the task might be difficult. 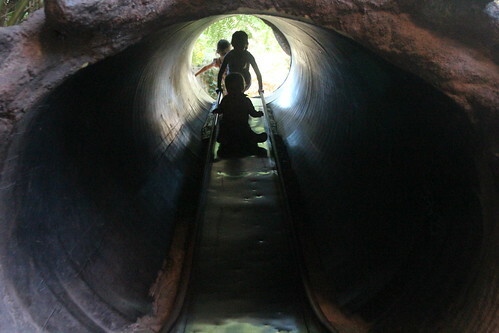 Great memories of all the parks and national monuments west of the Mississippi River. It’s nice to see another family doing the same things. I wish you and yours well. Your children will realize one day what a wonderful education they’ve had!